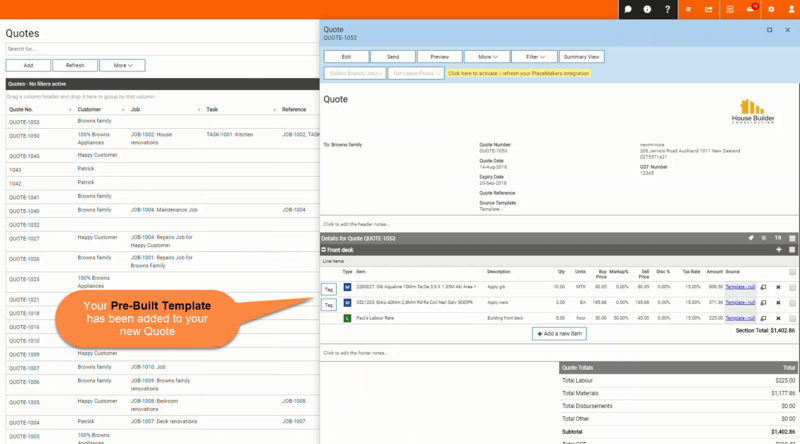 Create a Quote from Pre-Built Templates – Welcome to the NextMinute support and feedback centre. 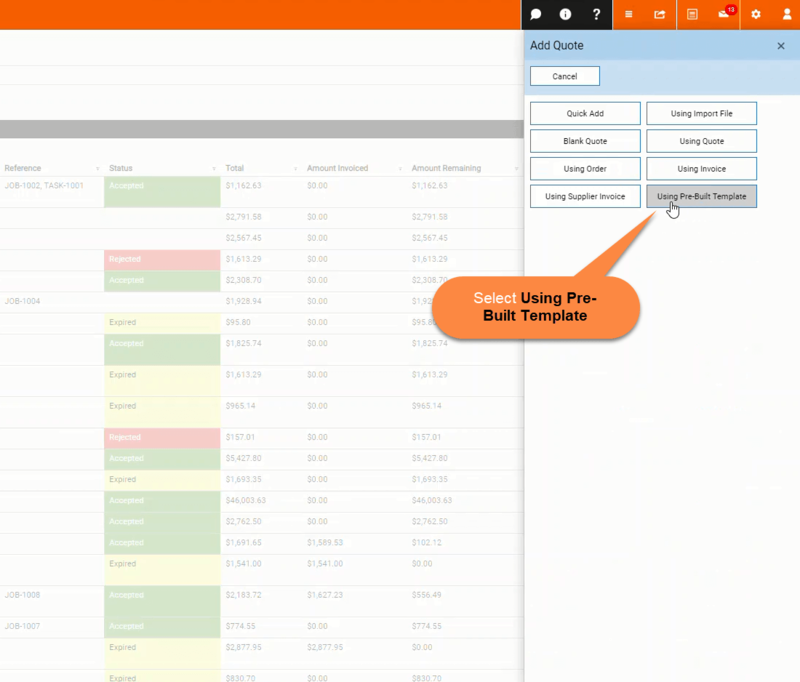 In this article we take you through the steps in creating a Quote using a Pre-Built Template. 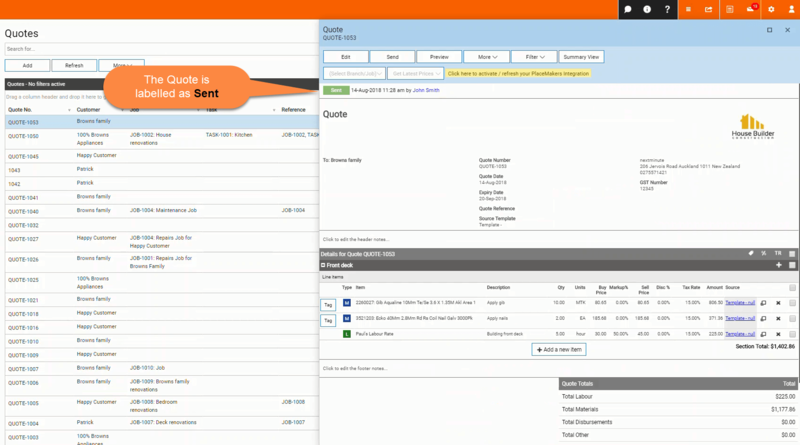 This allows you to build a Quote with existing labour, materials & disbursement data making creating quotes a lot quicker and easier. Create a quote by going to Quotes via the Accounts drop down menu and select Add OR quickly add a new Quote by selecting +Add Quote from the Quick Actions link in the top right hand side menu. 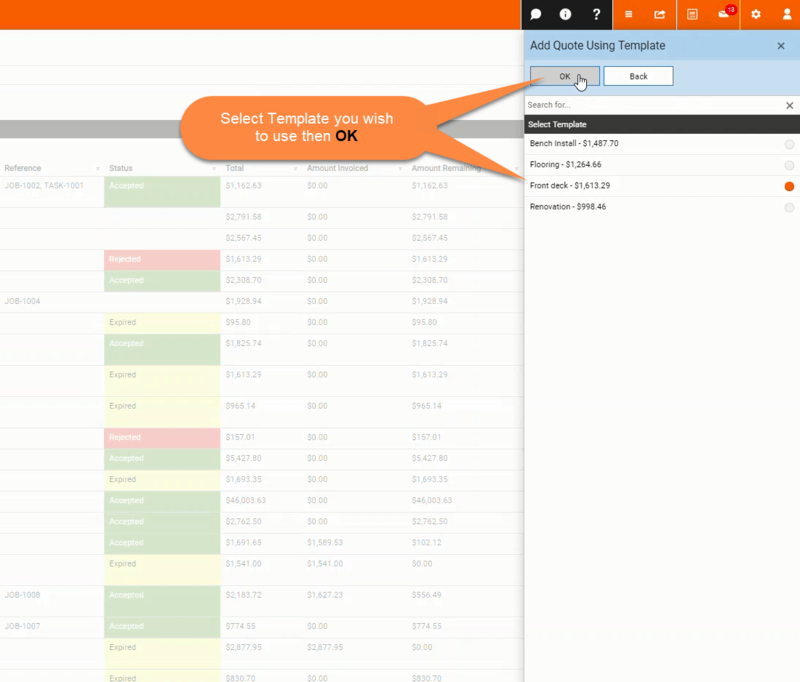 Select your Pre-built template from your list and select OK. 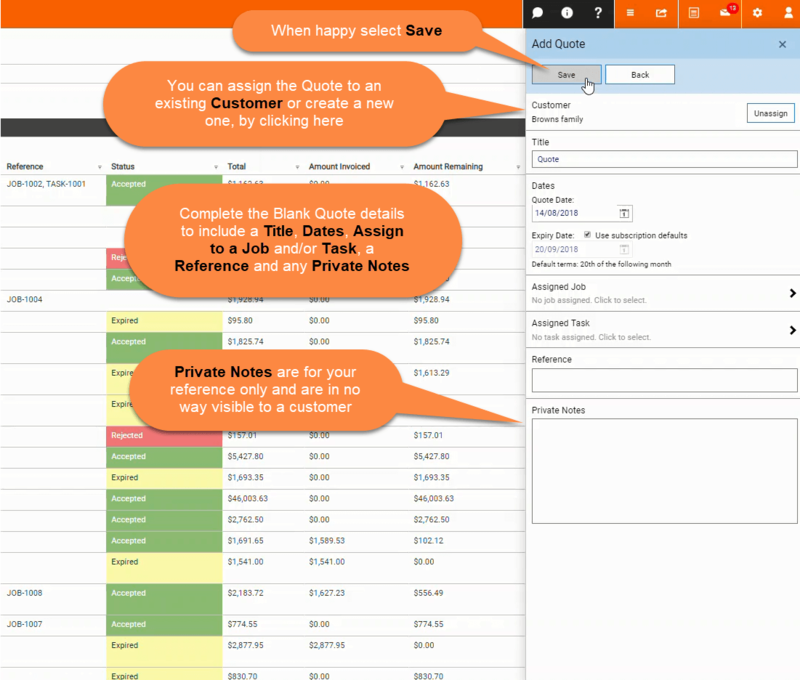 Enter the quote information in the form provided, assign customer and job information at this point. You have the ability to add new customers, jobs and tasks by clicking through to a contact, job or task form that can then be created here. When happy with everything select save. The final step in the process is to issue your Quote via email to your customer or prospect once you're happy with the Quote detail. This is done easily within NextMinute. 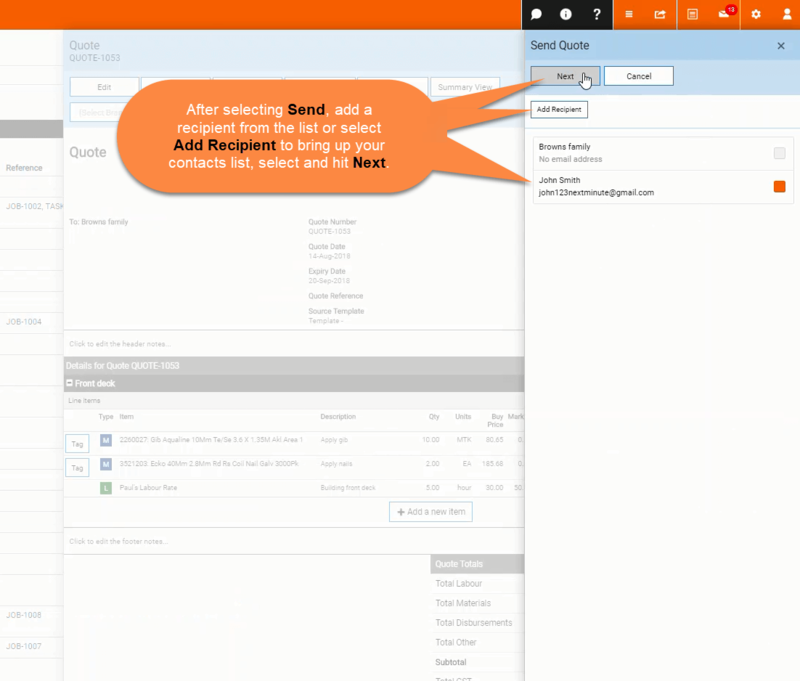 The below image also shows that you can Select to Preview the Quote before sending. 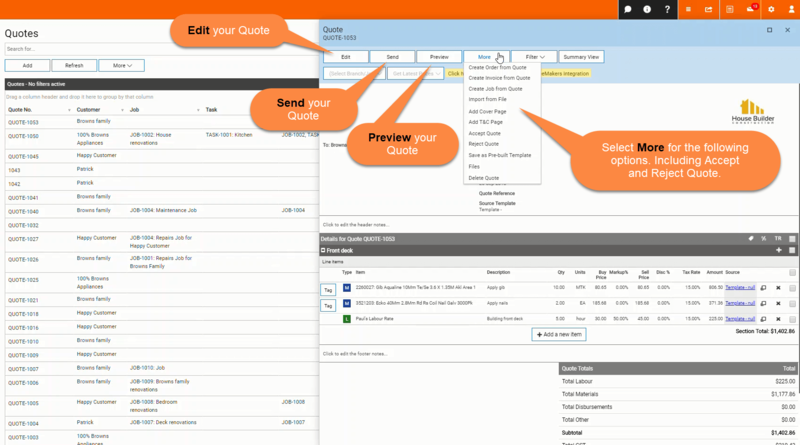 Select More to create an invoice or job from the quote, create a cover page, accept or reject the quote, save as a pre-built template or delete the quote. Choose the relevant recipients ie: the customer or key contact or add recipients. 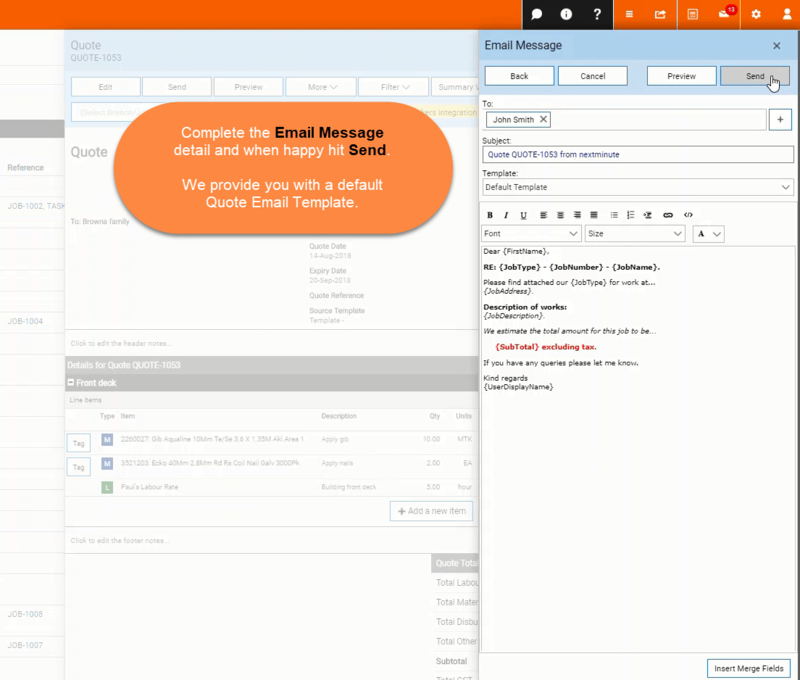 Create an email to accompany your Quote, we make it easy with a default Quote Email, you can customise this and access the functionality of NextMinute's Content Management making it easy to draw on standard or pre-drafted copy, merge fields for key job details and templates. Your new Quote will show in your Quotes list, as shown below.